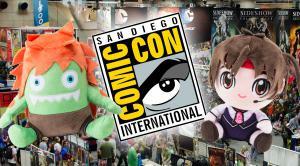 LOS ANGELES, CALIFORNIA, UNITED STATES, June 27, 2018 /EINPresswire.com/ -- Street Fighter’s Sakura and Blanka-Chan are coming to San Diego! The newest additions to the Stubbins family are making their debut exclusively at Comic Con International 2018. Stubbins is an exclusive line of officially licensed plush characters made with high quality materials and innovative design. 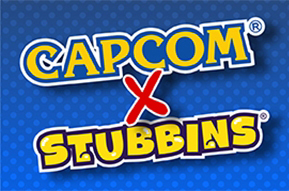 They are proud to announce their collaboration with Capcom, bringing their iconic characters to plush form. To commemorate the 30th anniversary of Street Fighter, fans can now bring home Sakura in her fierce, but fashionable outfit and the alternative of classic character, Blanka, in his popular Blanka-Chan costume. Limited to only 1000 of each, these exclusive characters will be available at San Diego Comic Con 2018 at the Yes Anime Inc. Booth #4729. To mark the special occasion, Yoshinoro Ono, the Executive Producer of Street Fighter, will be on hand to sign! 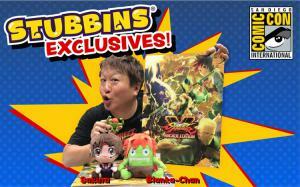 Make sure to visit the Yes Anime booth on Thursday, July 19, and Friday, July 20, from 11am-12pm to meet the mind behind the legendary Street Fighter franchise and to get your very own Sakura and Blanka-Chan Stubbins!